certainly not only give you extraordinary styling,. but protect and care for your hair. at the same time! Sound. what you get with Oriflame's. NEW and ENHANCED salon quality. Styling Leave in Spray Guard. 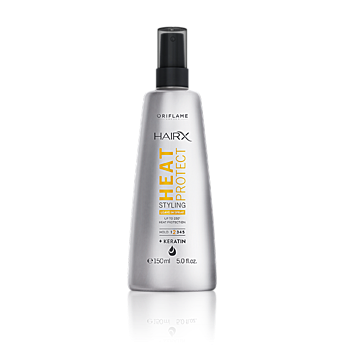 against heat damage, up to 230 ° C.